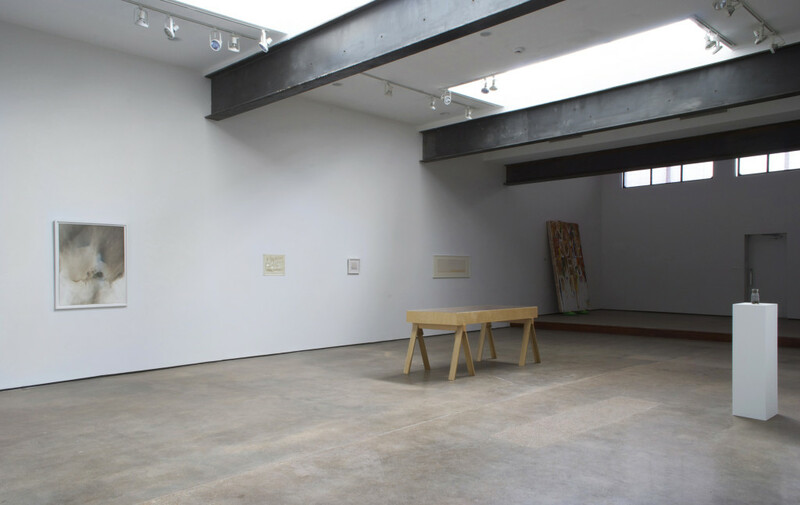 The work exhibited as an authentic Dieter Roth at White Flag Projects, Saint Louis. 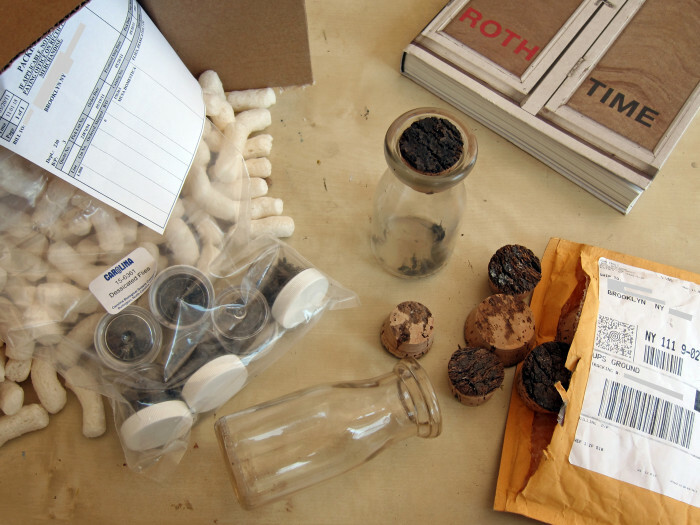 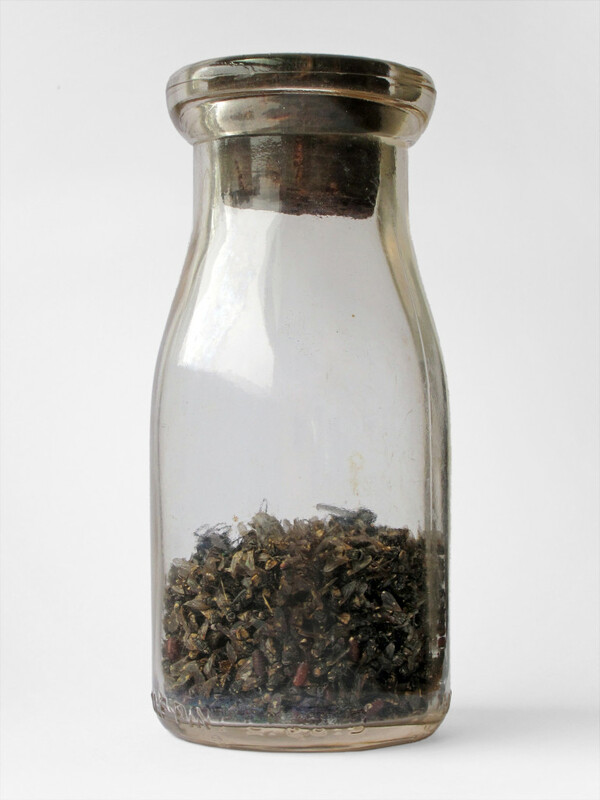 All materials, including flies, were bought on the internet. 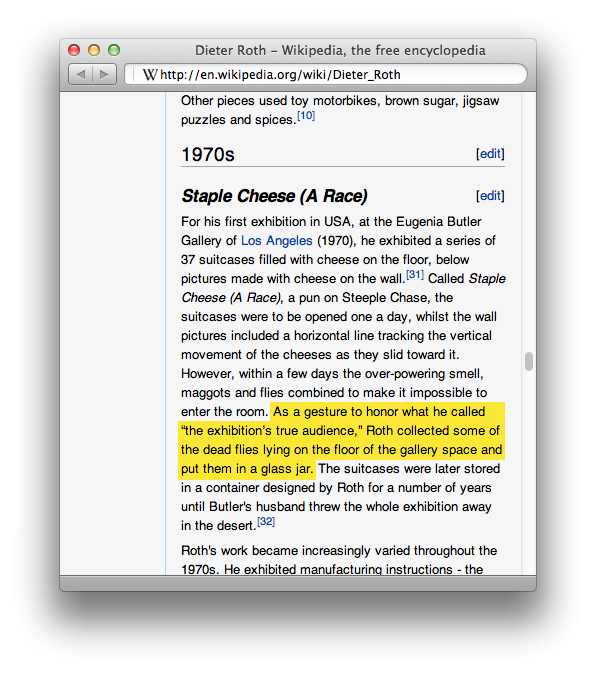 The fake work featured in Dieter Roth’s Wikipedia page.